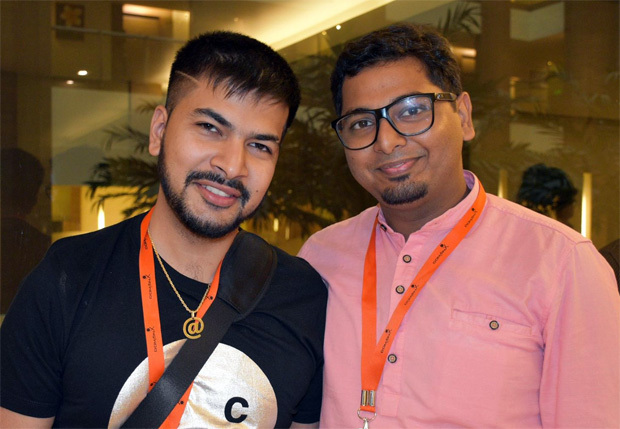 By now most of you are aware of India's DomainX Conference that staged its 3rd annual event this past August in New Delhi. The conference has been well received but in a fast growing and rapidly changing market like India there is an appetite for face to face networking events more than once a year so conference producer DomainX Events moved to fill that void. 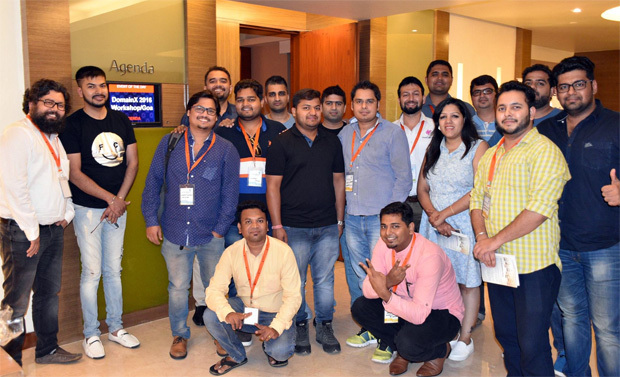 This past weekend they staged their fourth event of the year - a two-day DomainX™ Workshop held at Vivanta by Taj in Panaji, Goa, India - one of the country's favorite resort/party hubs. 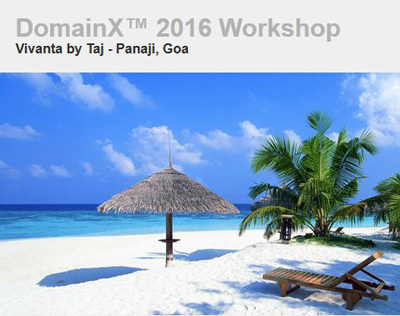 This Workshop was scheduled after the first one, held last March in Goa, proved to be a success (as did DomainX Events' other 2016 production - the first BlogX Conference in August (held in New Delhi the day before the 2016 DomainX Conference). 22) with a breakfast gathering that kicked off a day dedicated completely to networking. Some of the top players in the Indian domain name industry were there including Manmeet Pal Singh (Founder, DomainX™ Events & Domain Name Owners Association of India™), Sunny Bajaj (CEO, JMM Interactive), Manoj Dhanda (CEO, MicroHost.com), Jijo Pappachan (CEO, DN.domains), Abdul Vasi (CEO, HostCats.com), Gaurav Nakul (Godaddy.com India) and Alpesh Shinde (Godaddy.com India). You can see the complete list of attendees here. Photo of Domainx 2016 Workshop attendees from Manoj Dhanda. The business day Saturday began at 11AM with a welcome note by Manmeet Pal Singh who shared his views on the "Importance of Networking" then invited attendees to do just that in a series of personal discussions that continued until 7 o'clock in the evening! After that everyone rendezvoused for drinks and dinner in a festive gathering. Photo courtesy of Manoj Shanda. How to Make Money Out of Your Neighbor (China)? by Jijo Pappachan (CEO – DN.Domains) who made US $150,000+ (INR 1 Crore) in less than 1 year during thr Chinese domain name rush. Domain Name Sales Case Study by Manmeet Pal Singh who sold 143.com for US $150,000 within a few days of acquiring it. 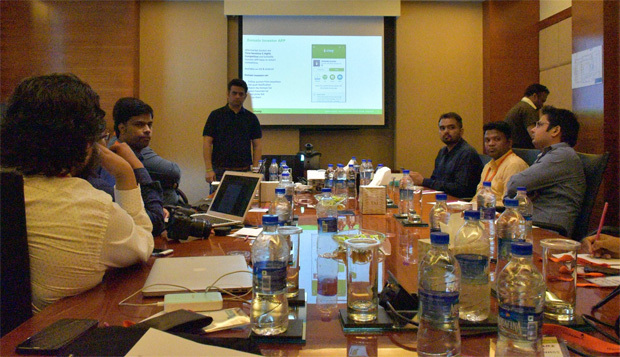 An inside view of one of the Sunday workshop sessions (photo from Manoj Dhanda). Another highlight of the Workshop was the completion of a significant .IN (Indian ccTLD) domain sale. Sunny Bajaj acquired Airfare.in from Manmeet Pal Singh for $18,000 in a deal that was concluded in a unique way - with payment live on social media. You can see that video and many others from from the workshop here. 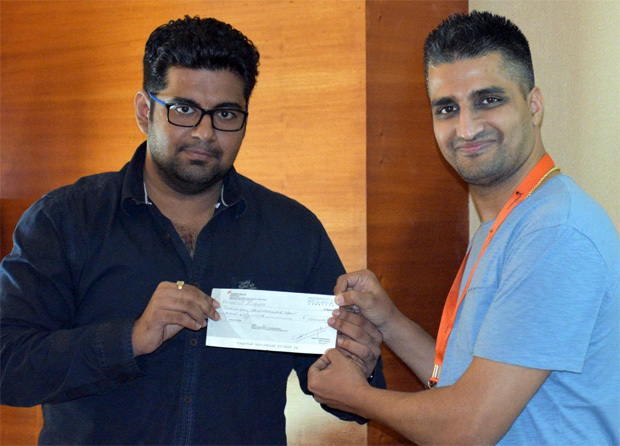 Sunny Bajaj (left) hands Manmeet Pal Singh an $18,000 check for Airfarfe.in. The Workshop came to an end with Manmeet Pal Singh thanking the participants and also singling out for special recognition Abhishek Jain (Operations Manager, Reappoint Internet) who served as the event host. Abhishek, at right in the photo below with Anshul Goyal, is also a popular blogger at RustyBlogger.com. (Photos above and below courtesy of Manoj Dhanda). Manmeet also thanked the sponsors who made the Workshop possible - Microhost.com, Reappoint Internet (Reappoint.com), GoDaddy.com, Worduct.com, Donuts LLC and the .CLUB Registry. 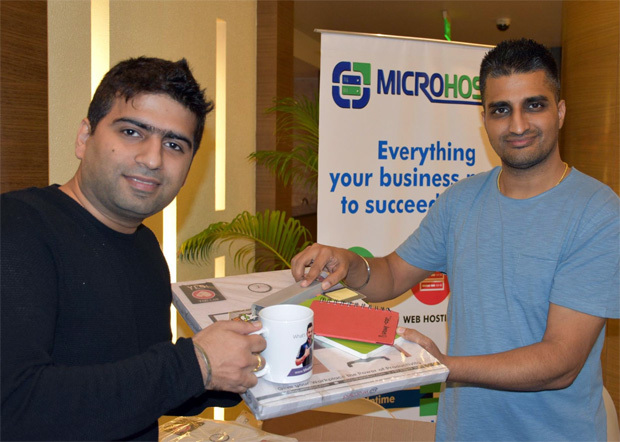 They also provided some cool swag that Manmeet distributed to all attendees including Aishwin Vikhona (at left in the photo below from Manoj Dhanda). 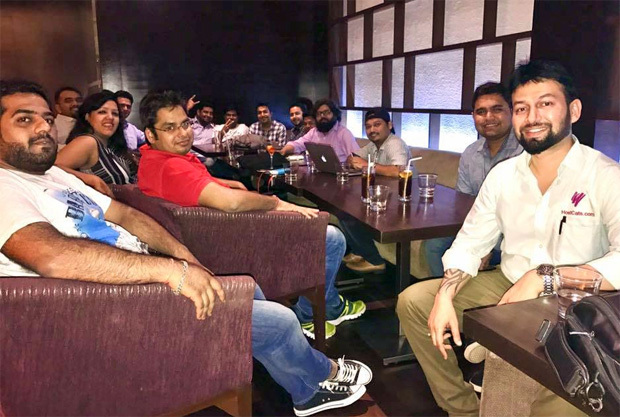 The Workshop concluded a busy year for DomainX and 2017 promises to be another one for both them at the Indian domain industry as a whole. Copyright 2016 DNJournal.com - an Internet Edge, Inc. company.